The kindergarten is split into two separate areas. On the left hand side of the Kita ‘Lilolei’, is a large room which is used for a variety of activities, free play as well as for meal times. Next to it is the ABC room, which is also used for pre-school classes. This room also contains the change table. Furthermore, the left hand side contains a cloak room, kitchen and toilet facilities for the children, educators and visitors. The right hand side of the kindergarten contains the office. Opposite the office is the sleeping room for our children. The sleeping room also has two change tables. Next to the sleeping room is a play room. It is used as a multi-purpose room. Among other activities, it is used for the morning circle, yoga and certain pedagogical programs and activities, mainly for the U3 children (children under the age of 3). It was specifically designed to cater for these children. When designing the kindergarten, we focused on using friendly colours and age appropriate furniture, which caters for the needs of the children. Children and adults can easily navigate their way around the kindergarten ‘Lilolei’ and feel safe. 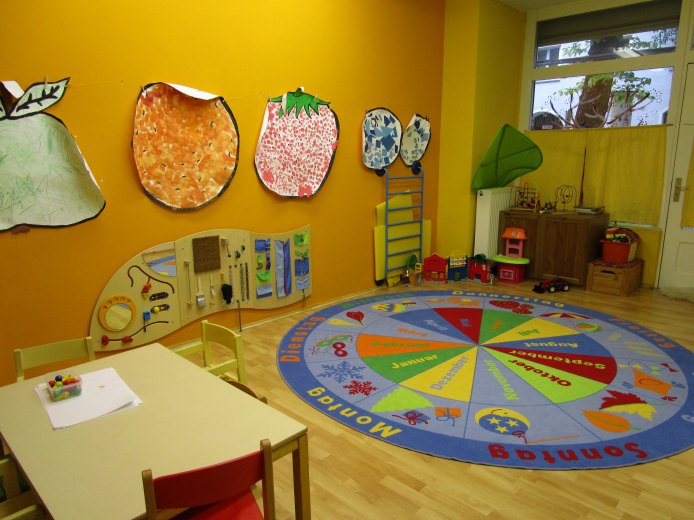 Although we value organization and order, we continue to redesign the rooms together with the children. The design of the rooms shall give a sense of comfort, warmth and safety. The Art room is located at the end of a long hall way which is used to show case the children’s art work. It is important to us to nurture the children’s creativity and imagination. Therefore, we provide sufficient materials in the supply room. The kindergarten is located in a refurbished ‘Altbau’ in Wilmersdorf, in the West of Berlin. Its location in Pfalzburger Str. 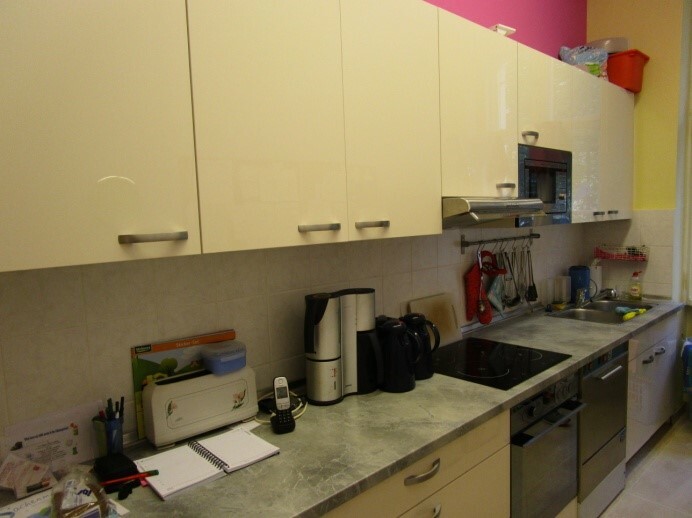 is close to the city, quiet and close to public transport. The kindergarten is close to Nelson-Mandela-School, a library, many parks, a range of shops and possibilities for excursions. Furthermore, it is surrounded by many playgrounds. The Berlin district Wilmersdorf has about 315.000 inhabitants. It is considered the “City-District” of the West part of Berlin featuring the Kurfürsten Damm as its vibrant center. Its Shopping Miles with exclusive boutiques and cafés are main attractions for tourists from all over the world. The western part of Berlin Wilmersdorf provides the benefits of a relaxing and good neighborhood while being close to the city. The center of Wilmersdorf however seems like a small town featuring quiet, family-friendly residential areas with apartment buildings from the beginning of the 20th century, many parks and playgrounds. We are open Monday to Friday from 8:00am till 5:00pm.